The head of the team, Mattia Binotto, says that the way in which the son of the 'Kaiser' works together with the 'Scuderia' is similar to that of his father. The comparisons are usually odious, however, it was never a problem for him to be equated with his father. Rather the opposite. 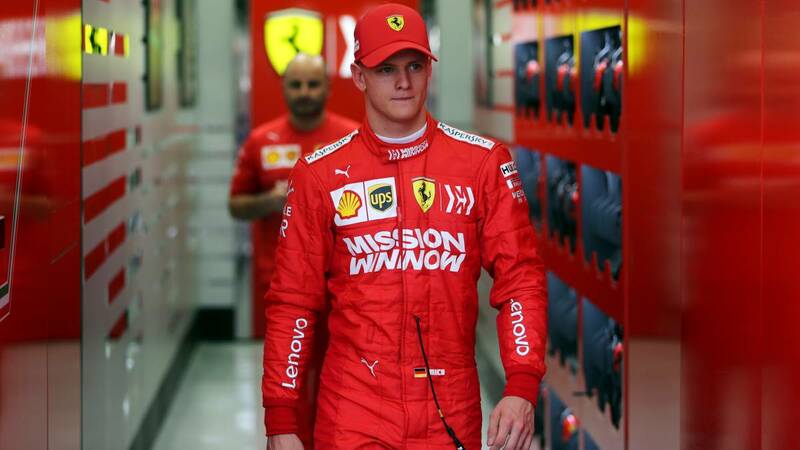 Since Ferrari confirmed the arrival of Mick Schumacher to his Academy, the return of that name to Maranello represented a revolution represented by way of nostalgia that made inevitable comparisons to which the son of the 'Kaiser' has not turned his back. "It would not be the person I am if it were not for my father", said the German, without giving up a past that he has brought back to the garage of the 'Scuderia'. In Bahrain, 12 years later, the pilot 20 years old put the name of Schumacher back in command of a Ferrari. "The first time I saw him in Maranello when he returned, I looked at him and did not think he really looked like Michael", said a Binotto that he later verified by himself during the test they held together with the son of the 'Kaiser' on the Shakir track, as Mick also brought with him a method of work that the Ferrari boss, who worked alongside the seven-time world champion of F1 during the stage of the German along with those of Maranello, knew very well. "The way he behaves is very similar, and the way he faced the test, the way he is interested in the car, talking to the technicians ... Even in Maranello we were taking care of him, but he was always in the workshop looking at the car, talking to the mechanics. And I think that in that is similar to his father, "said a Binotto who has at home, at least that's how Mick feels next to the Italians, the legacy of a hecatchampion that a future can continue to make great the Schumacher surname.